← Technology Transfer to Support Climate Action. The United Nations Framework Convention on Climate Change has many different interesting and complex components but I chose to focus on the UNFCCC approach to adaptation because unlike all the other aspects of the convention, adaptation will happen regardless of our commitment to fighting climate change. The other aspects of the convention, like mitigation and financial support depend on governments and organizations that acknowledge the impact of climate change. However, accepting man made climate change will have a major impact on how we act and when, but not on whether we act at all. The UNFCCC site says that adaptation should be addressed in four general steps. First comes an assessment on the impacts of climate change and the vulnerability of a community which is followed by the development of a plan to adapt accordingly. The third step is implementing that plan and the fourth is monitoring. Climate change is happening at different rates in different places and no two situations are exactly alike, so monitoring is essential to making sure that each plan is as successful as possible. While adaptation is situation specific, the successes and failures of past attempts at adaptation will inform future attempts. Adapting requires effort on local, regional and national levels and the UNFCCC determines that the most effective way to adapt is for organizations to work cohesively. I was thinking especially about how in many cases local and regional action rely on national assistance, at least financially, for success. This made me think about the current administration in the U.S. and whether Donald Trump and his administration’s stance on climate change will affect their commitment to adaptations, especially when they are so keen on slashing the federal budget. Acceptance of the impact of climate change on agriculture, weather events, water resources, and health will drastically change the way in which we adapt and how prepared we will be for a potentially unstable future. If vulnerable cities don’t prepare for things like more extreme weather events, they will be helpless when they occur. The website describes adaptation as a process of both planning for the future and responding to the present. Right now, it feels like the federal government is reacting to the present and not even thinking about the future. While some communities have taken it upon themselves to plan for the affect climate change will have on their communities, others haven’t. Planning for the future can be difficult, especially in working class communities that don’t have the resources or time to pay it any attention. This is when it is especially frustrating for me to see the political apathy towards climate issues. 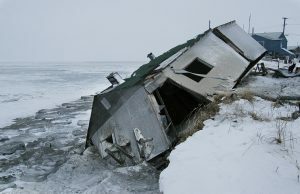 The UNFCCC website mentions several times that the poor will be hit hardest by a delay in adapting to climate change. Food shortages, longer droughts, and more extreme weather events will heighten already existing issues like disease and malnutrition and make it even harder for developing countries to gain stability. This made me wonder if non-profit organizations that work in areas like public health should also be supporting climate change research and action. The UNFCCC site emphasizes that climate change will force us to adapt eventually; however, the site reminds us again and again that the more planning we do now and action we take now will only benefit us in the long run. United Nations Framework Convention on Climate Change. “Adaptation.” Climate: Get the Big Picture.” Accessed August 29, 2017. http://bigpicture.unfccc.int. This entry was posted in Risk and resilience and tagged Adaptation, UNFCCC. Bookmark the permalink.